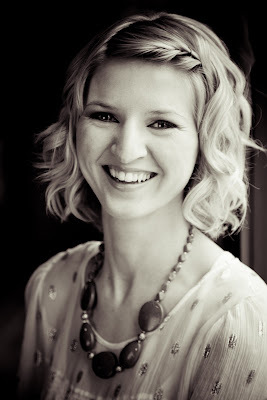 I have been drawn to Heather Boersma and her blog for a long time-- her story, her commitment to Christ, and because Heather is so much of what I'm not-- a dreamer. I long to be, but just don't know how. It's not my default. Where do I even begin when asking the Lord to help me begin dreaming about the life he has planned for me? 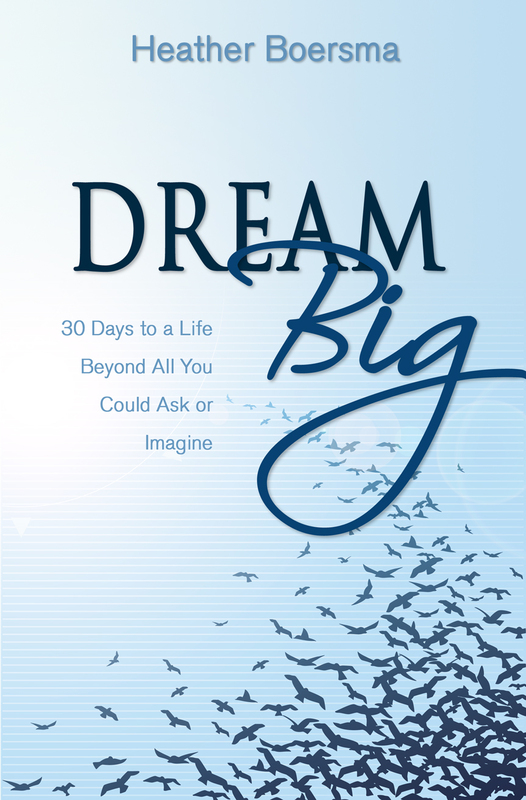 I was so honored when Heather Boersma asked me to read and review her book, Dream Big: 30 Days to a Life Beyond All You Could Ask or Imagine. I may not be a dreamer, yet, but a table of contents that has a spirit-filled plan for each day has "me" written all over it. Dream Big reads like a devotional, and each day Heather opens with a passage that asks readers to discover scripture and tangible instructions to, as Heather writes, "make our dreams a reality." There are also sections to write down your own reflections as well as opportunities to write and reflect with the Lord. I am so passionate about time spent journaling and love that Heather asks readers to commit to each of these sections as a spiritual routine throughout the 30 days. I fell in love with Heather's section about community. As my husband and I prepare for a potential move this summer, finding a new community [and quickly] is going to be so important, especially as we watch our little family grow by one this October. Heather outlines God's plan for our lives, lives lived out with others, and reinforces the importance of building one another up. She writes, "Our gifts work best when they are used within community setting in cooperation with the gifts of those around us. We are designed to be one piece of the puzzle, not the whole picture. Think about how your gifts can be used to build up the community God has place you in." I've only just begun my journey through Heather's book and my journey to becoming more of a spirit-filled dreamer, and I can't wait to see what I discover about the Lord and about myself. Connect with Heather and be inspired by her story! You can purchase Dream Big here. Heather's offering 20% off with the code HEATHER. And she is generously giving away one copy of her book! To enter to win, follow Heather through her blog, Facebook, Twitter, and Bloglovin'. Leave a comment for each. For two extra entires, Tweet about the giveaway [please leave two sepearte comments so you can be counted twice]. ... more about Dream Big. I'm following Heather on Twitter! I like Heather on Facebook. I follow Heather on Twitter. Wow, how inspiring. I am sort of in the same boat as you... Not a huge dreamer. And definitely wish I was moreso. I think i let insecurities get in the way. Can tell her book is God-breathed, how awesome. Hope this is still going! Following Heather on twitter now! And I'm following her on blog lovin'. I'm following Heather's blog, whether the giveaway is still going on or not.